Bike Transport (Closed for 2019): This Roadie team transports bikes to camp for cyclists unable to complete the day’s route. The Bike Transport team travels the route loading and transporting bikes from Camp and Rest Stops and then offloads bikes in the next Camp many miles down the road. Must be able to lift 50+ lbs. Truck driving experience appreciated as this team drives 4 flatbed stakebed trucks! Lunch (Closed for 2019): Lunch Team Roadies are responsible for the daily set-up, operation, and break-down of the route lunch area. Lunch Team tasks include packing and distributing bag lunches, distributing drinks, setting up bike racks, controlling bicycle and vehicle traffic, and cleaning up the lunch area. Lunch Roadies (also known as lovable “Lunchies”) must be able to lift 40 lbs. and stand for extended periods of time. Motorcycle Safety (Closed for 2019): The Moto Safety team works with staff and local law enforcement to guarantee safe passage of riders during each day’s route. Moto Roadies aren’t always on their bikes and often assist at difficult intersections and other locations to support Cyclists. Must provide own motorcycle, helmet, insurance, and verification of Class-M1 drivers license. Must be able to stand for long periods of time. Route Clean-Up (Now registering! ): These behind-the-scenes stars are responsible for the pickup and transport of bagged trash from each Rest Stop to designated dumpsters. Must be able to lift 60 lbs. and drive a 26ft. truck. Route Marking (Closed for 2019): The Route Marking team consists of two teams that work closely with staff to identify problem areas where signage might be insufficient or needing replacement along the route. Teams circulate the route addressing these problem areas. The second team follows behind the Caboose, picking up all route marking signage and organizing it so that it can be redistributed back to the Advance Route Marking team for use the following day. 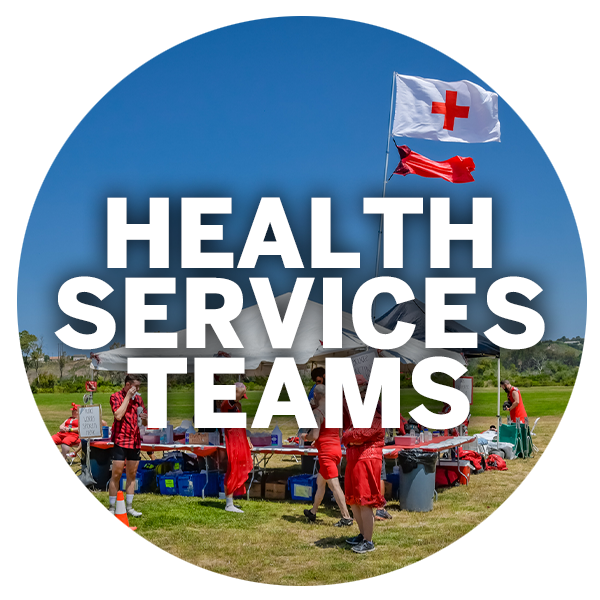 Rest Stops (Closed for 2019): AIDS/LifeCycle provides up to 4 daily Rest Stops to support cyclists on the route! Each Rest Stop team is responsible for the set-up, food distribution, bike parking, and traffic control at each rest stop location. Rest Stop teams are often the first to leave in the morning and the last to return to camp each night and often enjoy themed days. Must be able to lift 40+ lbs. and stand for extended periods. Rest Stop Tent Team (Closed for 2019): The tent team consists of 4 Roadies that circulate with the Rest Stop teams. They assemble the tents in the morning at each Rest Stop and then loop back at the end of each day to assist in taking tents down. Rest Stop Tent Team Roadies must be able to lift heavy tent canvas and poles and be at least 5′ 5″ tall and must be able to lift 50+ lbs. Sweep (Closed for 2019): The Sweep team circulates throughout the route providing transportation, smiles and emotional support to cyclists needing assistance to rest stops. Sweep Roadies leave early in the morning and arrive late into camp after all cyclists have completed the route. To be considered for the Sweep team you must have participated in at least one prior AIDS/LifeCycle, preferably as a cyclist. Must be able to lift 30lbs., have a valid and clean drivers license, and be adept as both navigator and driver. Water & Ice (Now registering! 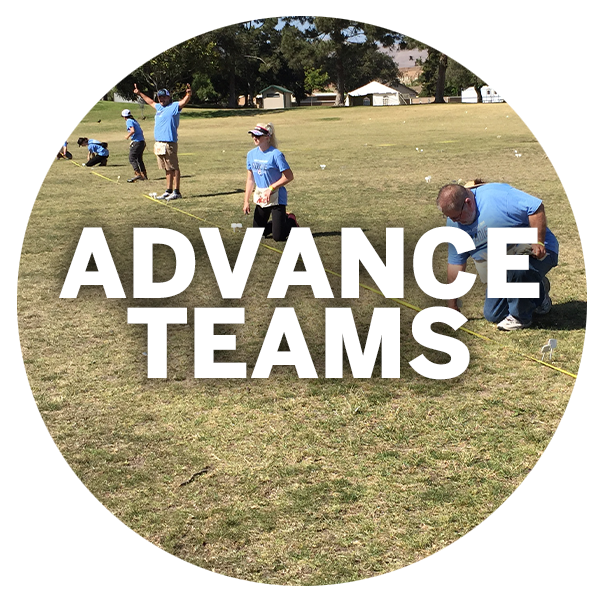 ): The Water & Ice team is split between two groups – Camp Water & Ice and Route Water & Ice. Water and Ice Roadies assist with the distribution of ice and 125 gallon “Water Monster” tanks throughout our route and camp. These H2O-loving Roadies setup, breakdown, and transport our water tanks and ice. Enjoy a behind the scenes view of the route while driving one of the many trucks this team uses; truck driving experience appreciated as this team drives an assortment of 6 large vehicles. Water & Ice Roadies must be able to lift at least 50 lbs. Water Stop (Closed for 2019): Water Stop team is responsible for set-up of the site including the water and electrolyte station, bike parking, and traffic control. Water Stop is an active team that requires lifting up to 40 lbs and they enjoy themed days. Water Stop fills the gaps between Rest Stops and Lunch on the longer mileage days during the Ride. On shorter mileage days, when there isn’t a Water Stop on the route, the team assists other Roadie teams on the Route and back in Camp!